Geraldton is a popular destination for families, and it’s no wonder why with the countless things to see and do! The Geraldton Foreshore has a range of playgrounds and walkways to let the kids run wild on as well as the state of the art Youth Precinct that provides hours and hours of entertainment. Just up the road lay the recently opened Beresford Foreshore, which sports a playground reminiscent of the Pirates of the Caribbean set. The public open space also has a range of barbecues and outdoor facilities, making it one of the best places to take the family and enjoy what Geraldton has to offer. The City of Greater Geraldton’s School Holiday Program is always a hit during the school break and includes everything from SUP yoga, video games, beach volleyball, arts and craft and fun, educational workshops at the Museum of Geraldton. 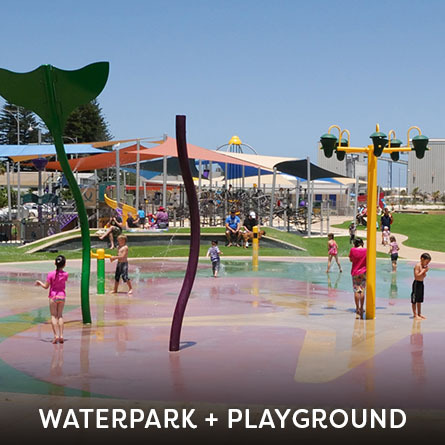 Right in the heart of the Geraldton Foreshore is the popular Waterpark and Playground. The kids will have a ball of fun running through the varying fountains of water. There’s also a fully fenced toddler area as well as a space for the bigger kids. The waterpark and playground is totally free and is right next to the beautiful Indian Ocean and Geraldton’s vibrant café scene. 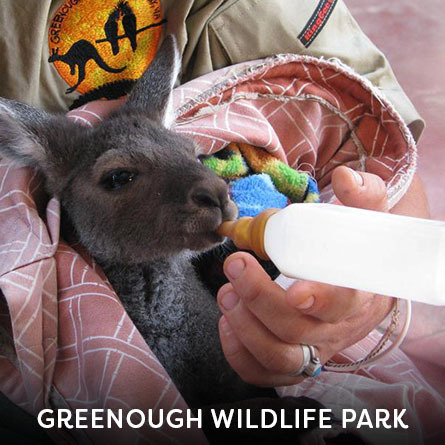 Say hello to the resident kangaroos, pat a dingo, see a crocodile up close, hold a snake and see the other wonderful animals that call the Greenough Wildlife and Bird Park home. 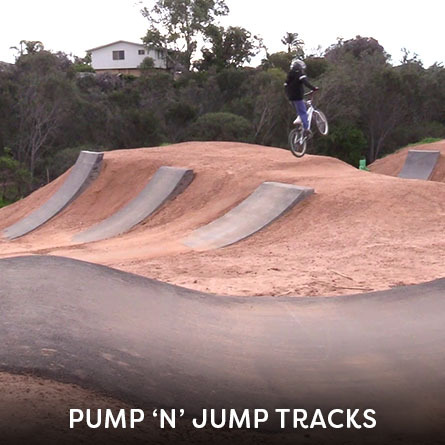 Take the kids to Geraldton’s newest attraction and let them burn off some energy on their bike or scooter at the Pump and Jump Track in Spalding Park. There is also a mountain bike skills track and an 11km loop trail that sits just near the Chapman River and is suitable for all ages and skill levels. A great place to let the kids burn off some energy while the parents recharge over a coffee. 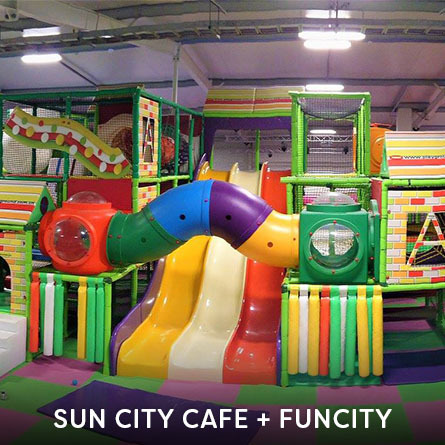 The huge play centre has slides, ball pits, trampolines as well as age appropriate sections. Ride a variety of locos along a 500 metre outdoor ride-on-track. 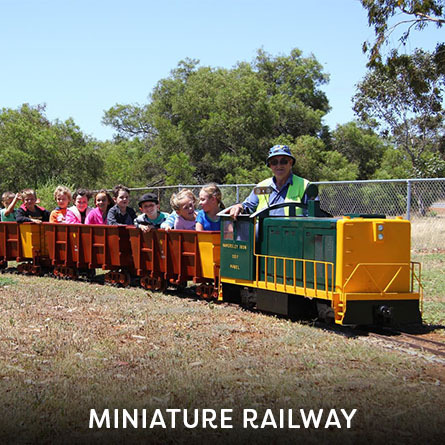 The Miniature Railway runs at Spalding Park on the first Sunday of each month from 10am to 3pm. Cost is $1 for children or $2 for adults for two laps around the track. Passengers must wear fully enclosed shoes for rides. 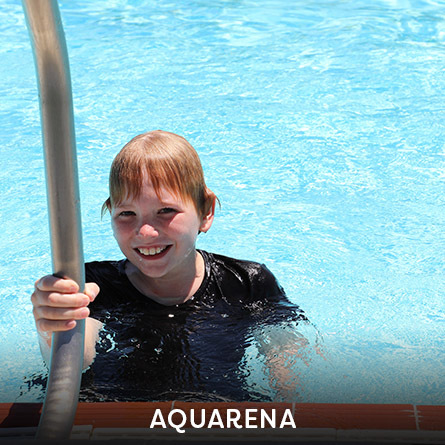 As Geraldton’s premier Aquatic Centre, the Aquarena is a multi-purpose swimming facility offering a huge range of activities and services. With and indoor and outdoor component, the facility includes a 25m heated pool, an indoor leisure pool, hydrotherapy pool and 50m outdoor pool. To keep the kids entertained there’s a water slide and dependant on timing – there’s inflatables and a Tarzan rope. Along with a great range of group fitness classes and swimming lessons, you’ll also find a beach volleyball court, free barbecues with lawn areas, shade sails and more.